Yesterday I attended the VMware Partner Exchange on Tour here in the Netherlands. You can view an impression of this event on the site of Mr. Sloof over here. One of the session I attended was the one given by Raymond van ‘t Hag about the VMware View reference architecture. Raymond is one of the specialist on VMware View in the Benelux and delivered a nice presentation about using View in combination with local SSD disks. An interesting view on how to implement View as you can say. Since the era of server virtualization kicked in we’ve moved away from servers with local storage to SAN connected servers. This solution brings us back again to the local disks in the server. An interesting point of view if I may say so myself. But then again it has advantages with regards to disk utilization and creates a VDI solution that also can be implemented at companies that don’t have the budget for an expensive SAN solution. 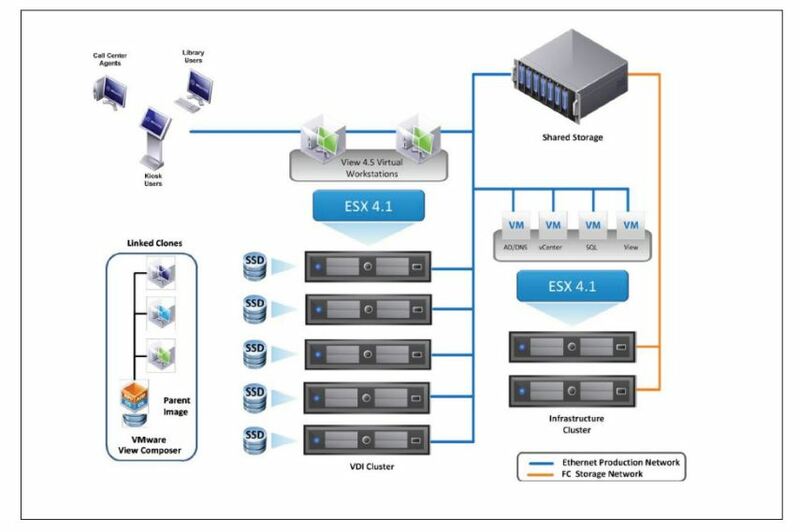 VMware released a whitepaper about this View solution in a whitepaper. You can download the whitepaper over here. During the presentation Raymond also mentioned the VMware View & Fusion-io VDI appliance. This solution is created by VMware SE Ton Hermes and delivers VDI-in-a-box. This solution is VMware View in combination with Fusion-io (faster then SSD!) and can be seen as a ready-to-use VDI solution which you can buy off the shelf. The brochure can be found here. In all I think these are nice solutions for VMware View which definitely state that VDI is something for all companies. You don’t have to be a million dollar company to implement VDI. These solutions make it possible for any company to work anywhere, anytime and anyplace!